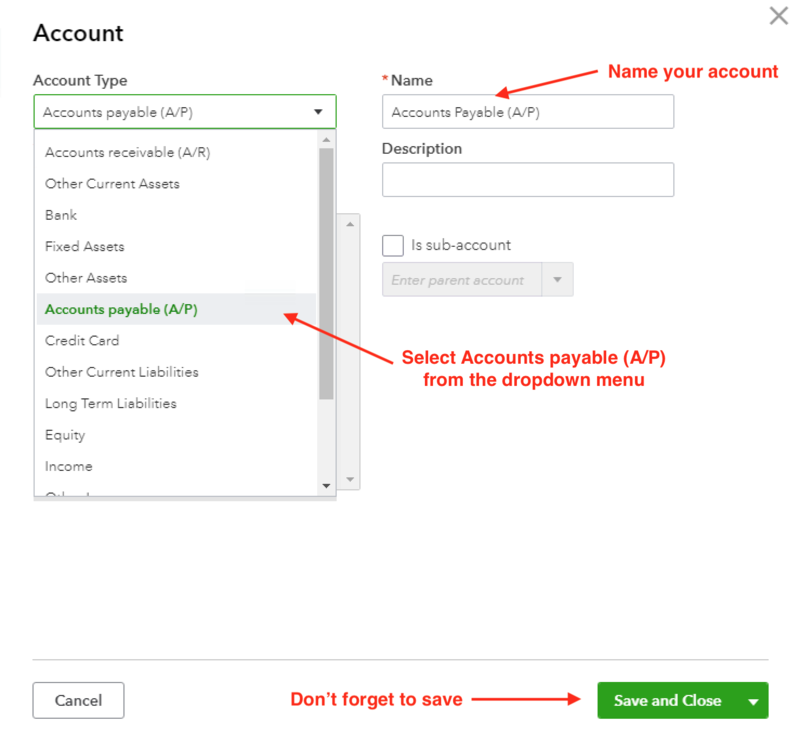 How do I add a new Accounts Payable Account in QuickBooks Online? Go to your Chart of Accounts, click "New" and then select "Accounts payable (A/P)" from the dropdown menu. Then name your account and save and close. When selecting your new account during our integration setup, make sure to click on the refresh button so that the new account shows up.